Item number 770/1 from the MOA: University of British Columbia. 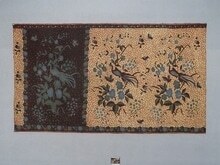 Three brown and blue pheasants perched in tall grass, flowers and leaves, in brown, blue, green, and white, two on light brown patterned background, surrounded by swallows (? ), and vines with leaves and flowers. 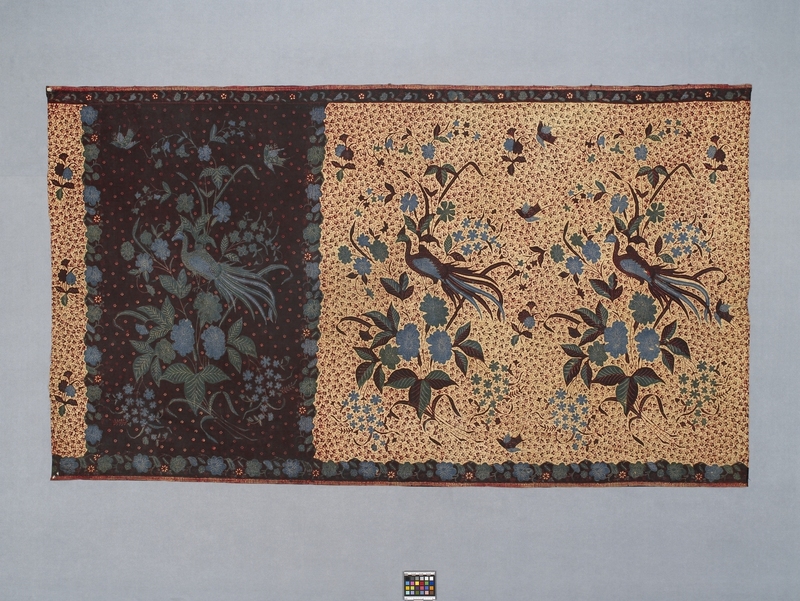 The third pheasant with same elements are all in blue on dark brown background with small red and white designs. Dark brown border runs along selvedges with red vine of blue, red and white flowers and leaves, and strip of short lines, in red and white. One end folded over, other end partially folded.